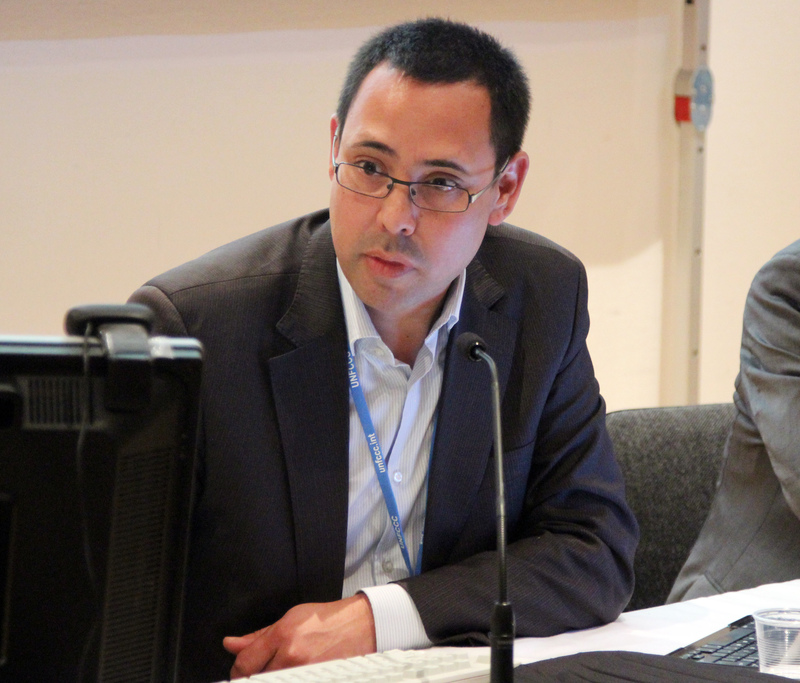 The following side events were covered by ENBOTS on Monday, 8 June 2015.
the establishment of an advisory council concerned with the rights of Indigenous Peoples, feeding into the GCF Board. Grace Balawag, Tebtebba, moderated the event. René Ngongo, l'Organisation Concertée des Écologistes et Amis de la Nature (OCEAN), lamented that unsustainable mining practices have further unintended consequences, including the building of access roads that open up intact forests to deforestation. Francesco Martone, FPP Senior Policy Advisor, called on the EU to honor their commitment to the New York Declaration on Forests. This session was moderated by Grace Balawag, Tebtebba. 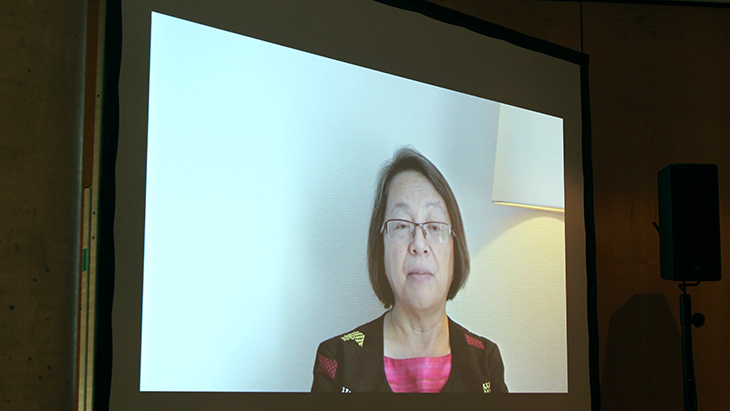 Speaking via video message, Victoria Tauli-Corpuz, UN Special Rapporteur on the Rights of Indigenous Peoples, highlighted key issues for consideration in the disbursement of GCF funds, including: establishing safeguard mechanisms in projects funded by the GCF; including a focal point for Indigenous Peoples' issues on the GCF Board; ensuring access to the GCF funds; and establishing a grievance mechanism for Indigenous Peoples to report complaints on rights violations. 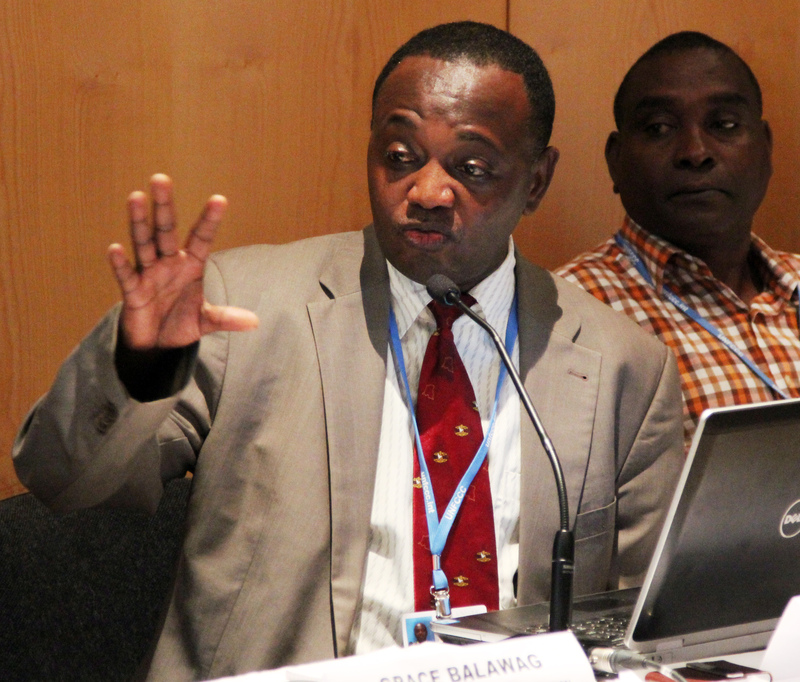 Noting that Indigenous Peoples have been wrongly accused of driving deforestation, René Ngongo, l'Organisation Concertée des Écologistes et Amis de la Nature (OCEAN), described drivers of deforestation in the DRC, including illegal logging, expansion of oil palm plantations, and unsustainable mining practices. He listed recommendations to be considered by the GCF including, inter alia, the need to: amend the forestry code to enhance the implementation of Indigenous Peoples’ rights; and respect international human rights obligations in GCF funded projects. Joseph ole Simel, Mainyoito Pastoralist Integrated Development Organization, spoke on two energy projects in Kenya that had contravened the rights of Indigenous Peoples, noting that they were both before the country’s judicial system. He described the violations to Indigenous Peoples' lands, and said that although climate funding was supposed to address climate change sustainably, it has “caused more problems.” He called on civil society organizations to stand with Indigenous Peoples in demanding inclusion of human rights standards in GCF projects. 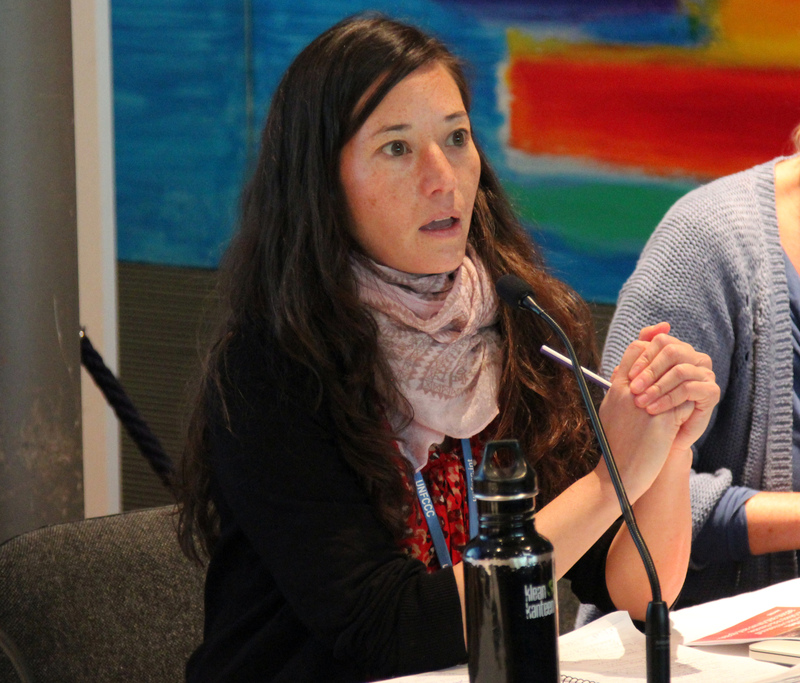 Underscoring that Indigenous Peoples cannot “just sit and wait for an invitation to action,” Galina Angarova, Tebtebba, stressed that stakeholder participation is key for the success of the GCF. 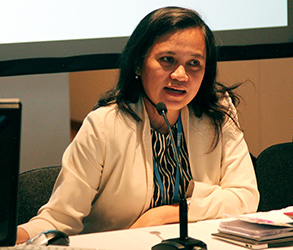 She noted the goals of her organization as influencing GCF policies at the international and national levels, and appealed for funding for Indigenous Peoples’ participation in GCF Board meetings, urging Indigenous Peoples to seek out national designated authorities in order to participate in climate projects at the national level. 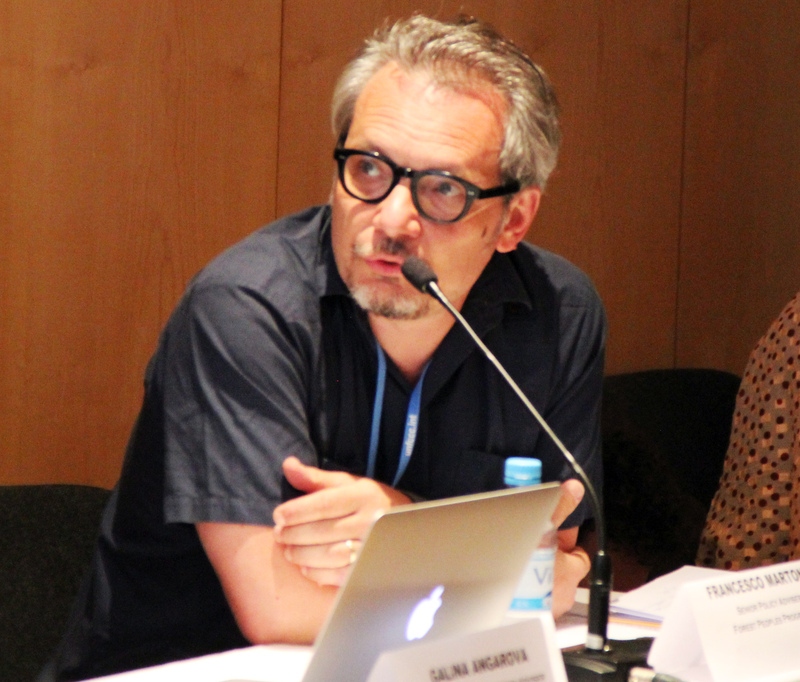 Highlighting studies demonstrating that forests are better managed by Indigenous Peoples, Francesco Martone, FPP Senior Policy Advisor, called on UNFCCC parties not to delete text on the role of Indigenous Peoples in addressing climate change, or on human rights-based approaches to climate actions. He said that Intended Nationally Determined Contributions should also be based on rights-based approaches, and stressed that the Paris agreement needs to be anchored on a strong compliance mechanism, and ensure that Indigenous Peoples are included as agents of sustainable solutions. 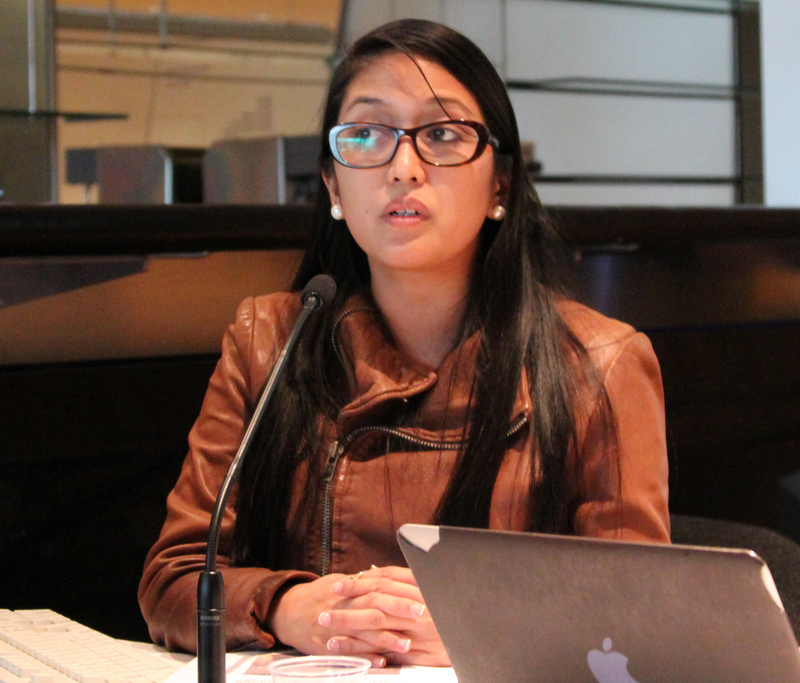 In the discussion, participants raised issues including, among others, the impact on food production vis á vis the rights of Indigenous Peoples; actively engaging with the GCF; addressing safeguards for Indigenous Peoples in cases where these communities are not recognized; and translating theoretical agreements on safeguards for Indigenous Peoples to practical solutions on the ground. Hindou Oumarou Ibrahim, Association des Femmes Peules Autochtones du Tchad (AFPAT), highlighted impacts that climate change is having on everyday lives, noting that access to clean water is becoming increasingly difficult as a result of decreased rainfall. John Knox, UN Special Rapporteur on Human Rights and the Environment, said the minimal external obligation of states is international cooperation on matters that threaten human rights. Moderator Alyssa Johl, CIEL, opened the session highlighting the links between human rights, justice and climate change. She noted that the time before Paris was an opportunity not only to get human rights language into the final agreement but also to ensure an agreement that would contribute to the fulfillment of human rights. 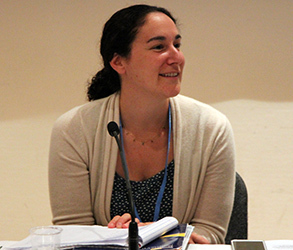 Giovanna Valverde, Costa Rica, presented on the Geneva Pledge on Human Rights and Climate Action, a voluntary initiative signed by 18 countries to enable exchange of good practice and knowledge. Valverde then responded to questions, discussing: the potential broadening of the group to include non-state actors; a mechanism for facilitating greater coordination of the negotiating positions of signatories to the Pledge; and enabling more effective communication on the links between human rights and climate change. 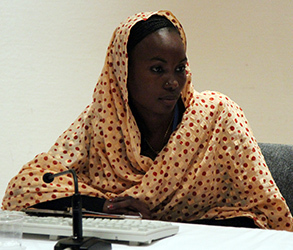 Hindou Oumarou Ibrahim, Association des Femmes Peules Autochtones du Tchad (AFPAT), spoke on the importance of considering the impacts of climate change on everyday lives, noting that for Indigenous Peoples, environmental and human rights are part of the same right and must be treated together. She noted crosscutting climate change impacts on human rights, relating to: food security; health; women’s rights; the right to development; and energy access. She stated that the Paris agreement must place human beings at its center, suggesting that countries include human rights aspects in their Intended Nationally Determined Contributions. 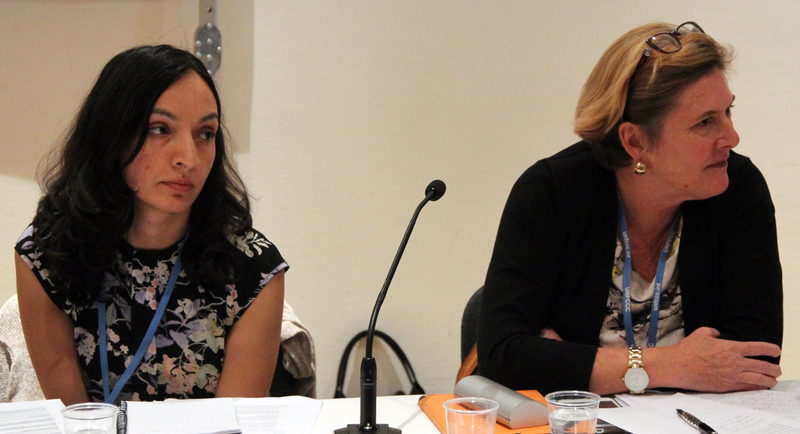 Gita Parihar, Friends of the Earth, England, Wales and Northern Ireland, spoke on climate justice, noting the linkages between environmental law, which recognizes differentiation between states in terms of responsibility for climate change, and human rights law, which tends to focus on the relationship between the state and the individual. She pointed to the duty among states to ensure the attainment of human rights, suggesting the need for more work on applying responsibility for extraterritorial human rights protection. 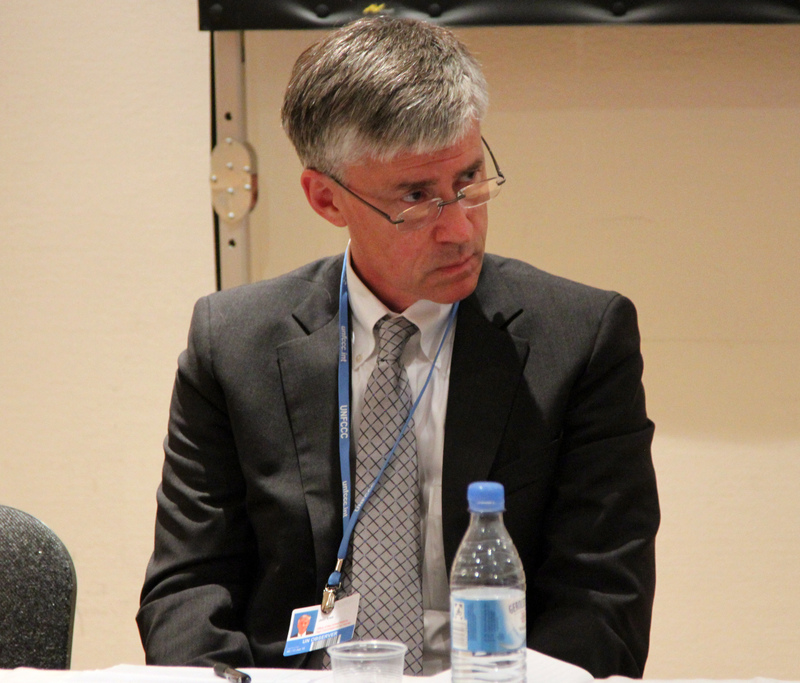 John Knox, UN Special Rapporteur on Human Rights and the Environment, highlighted three benefits of a human rights-approach to climate change: clarifying what is at stake; providing guidance for robust, effective and climate change policies; and providing additional forums to address the adverse effects of climate change. 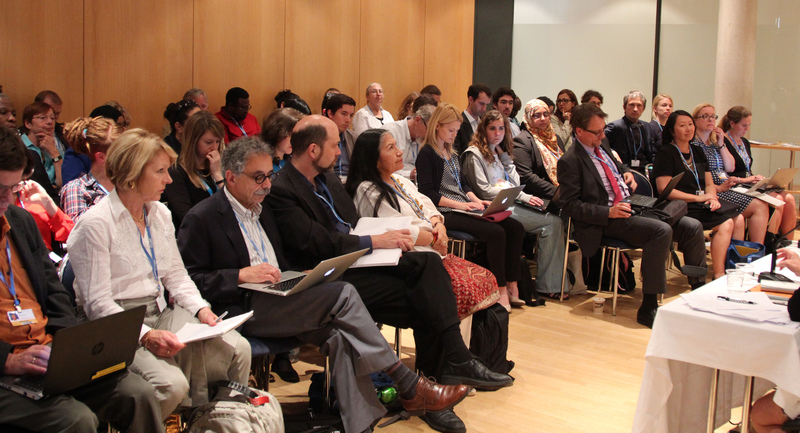 Noting that climate change infringes on many human rights, he discussed, inter alia: procedural obligations of states, including assessing and providing information on environmental impacts on human rights. Discussions followed, considering, among others: the influence of language within the text on national governance and laws; the wider relevance of human rights and climate change discussions; a Dutch lawsuit claiming climate action is not ambitious enough; political and legal interlinkages between climate and human rights laws; the role of corporations; and vulnerability impact assessments. 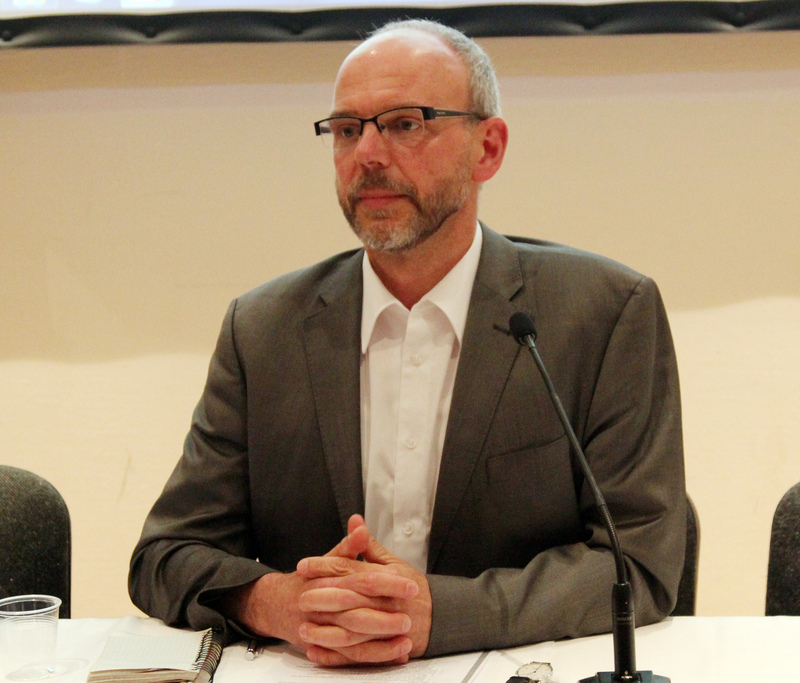 Andrew Howard, UNFCCC Secretariat, said the level and nature of integration of market-based measures with the UNFCCC was one of the key issues for ICAO. Martin Cames, Öko-Institut, said energy efficiency alone would not be sufficient to adequately reduce emissions from shipping. Malte Meinhausen, University of Melbourne, said while current emissions from aviation are around 3%, the sector’s share will substantially increase if policies are implemented in other sectors to achieve 2°C. 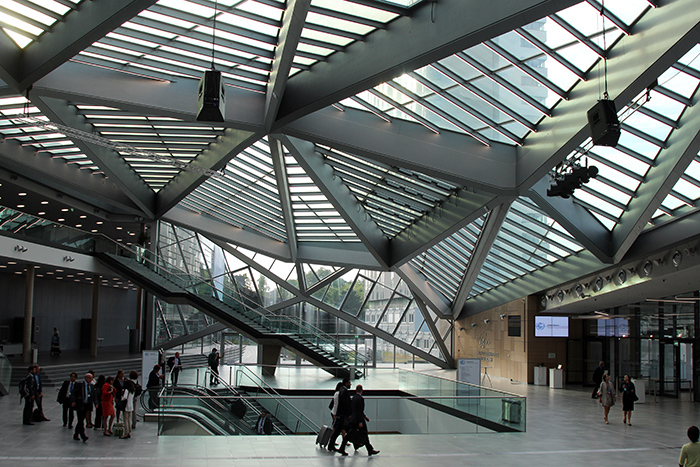 This side event was organized by Öko-Institut, and coordinated by Martin Cames, Öko-Institut. 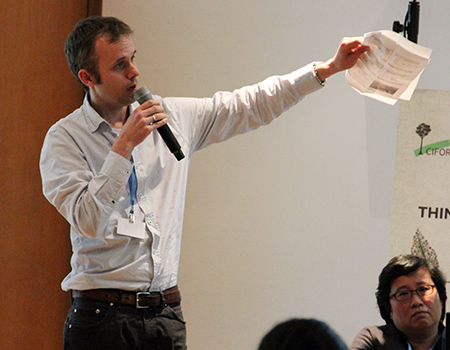 Noting that there was no alternative but to address aviation emissions to achieve net zero emissions by 2050, Malte Meinhausen, University of Melbourne and Potsdam Institute for Climate Impact Research, presented trends in the aviation sector and the scale of emissions reductions needed under the Intergovernmental Panel on Climate Change’s RCP 2.6 scenario that would allow a likely chance of staying below 2°C of temperature increase. He said a mechanism to compensate the lack of emissions reductions was needed for this sector if stronger efforts were not undertaken. Andrew Howard, UNFCCC Secretariat, discussed the International Civil Aviation Organization’s (ICAO) three-pronged strategy of quantification of emissions, mitigation, and implementation via state action plans. On implementation, Howard highlighted the basket of measures being considered to reduce emissions such as: improvement in aircraft technologies; operational improvements; use of alternative fuels; and market-based measures. He noted that the ICAO may adopt rules for a global market-based mechanism in 2016 for the post-2020 period. 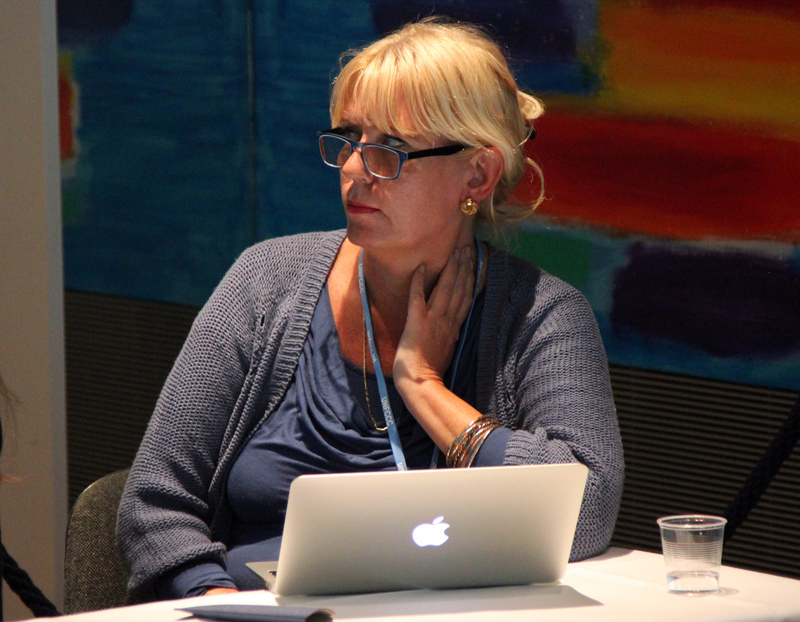 Pointing to the potential large share of shipping emissions by 2050, Elisabeth Holland, University of the South Pacific, said reducing emissions from shipping was vital to prevent the sector from compromising the ability to keep warming below 1.5˚C. Highlighting the Majuro Declaration on Climate Leadership, she noted ongoing work to set a 20% emissions reduction target for transportation in the region and urged support to implement these measures. Positing that other international bodies could not be left to do their “fair share” of mitigation, Mark Lutes, WWF, argued for an overarching role of the UNFCCC in reducing emissions across sectors. 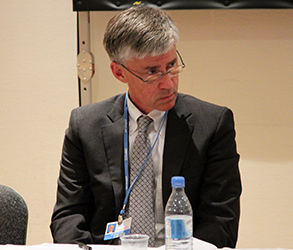 He said that the extent and nature of achieving emissions reductions through the UNFCCC in aviation and shipping sectors would depend on, inter alia: extent of current efforts taking place through ICAO and the International Maritime Organization, including support for adaptation; and the ability to reconcile principles across various international bodies. Cames highlighted results from his institute’s research, including: the development of targets in the maritime sector based on lessons learned from other sectors; and the contribution of energy efficiency targets in meeting the overall emissions reductions goals. During discussions, participants raised issues about, inter alia: the importance of traditional culture in the Pacific and how it is intertwined with transport; addressing policy distortions and carbon leakage; and addressing radiative forcing agents beyond carbon dioxide in the aviation sector. 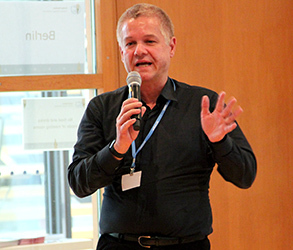 Jan Börner, Centre for Development Research (ZEF), said designing effective payment for ecosystem services schemes requires knowledge of the spatial patterns of deforestation. Maria Brockhaus, CIFOR, suggested learning from other mechanisms including anti-corruption measures. Louis Verchot, CIFOR, moderated the session, which discussed benefit-sharing mechanisms and considerations of equity in REDD+. 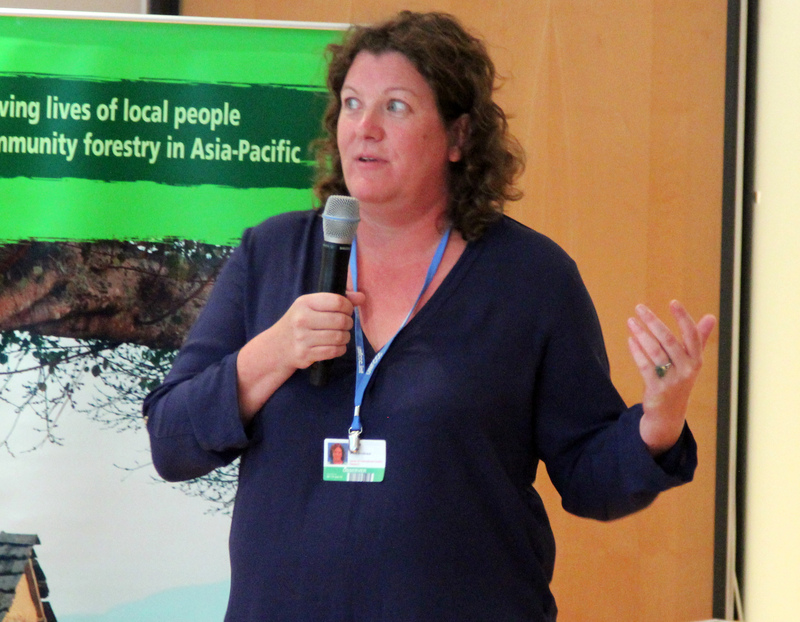 Maria Brockhaus, CIFOR, considered equity within the REDD+ discourse, noting concerns and risks, including: corruption; misinformation; unclear tenure and financial procedures; and issues related to procedural equity and participation in decision-making procedures. On the way forward, she highlighted the need for: real commitments: analysis to inform safeguard designs; and innovative policy learning based on past experiences. Grace Wong, CIFOR, discussed the lessons to be learned from the design of benefit-sharing mechanisms within other sectors, noting the importance of addressing, inter alia: the distribution of incentives, the creation of enabling institutional conditions; and the way in which outcomes are measured. Regan Suzuki Pairojmahakij, RECOFTC, presented on a capacity building-led approach to equity, stating that at the grassroots level there is “no common understanding” of the meaning of equity. 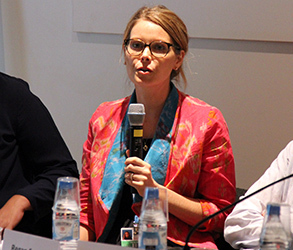 She discussed on-going capacity building projects, including the Green Mekong Project, and observed the disconnect between donor expectations and delivery on the ground. Jan Börner, Centre for Development Research (ZEF), and Sven Wunder, CIFOR, spoke on assessing cost and equity implications of REDD+ projects in Brazil and Peru, considering trade-offs between cost effectiveness and land-user incomes, noting that more costly policies tend to result in greater incomes for land users. They discussed key findings of their research, including that: incentive schemes can increase equity but are more expensive; enforcement is key to cost-effectiveness; and simple win-win fixes might boost both cost effectiveness and equity. Kirsfianti Ginoga, Indonesia, presented on her country's perspective of benefit-sharing mechanisms in REDD+, noting the goal of developing a policy recommendation that can be measured, reported and verified, based on science and innovation. 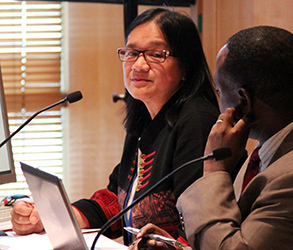 She noted that many temporal and spatial challenges needed to be accounted for, and expressed hope for the operationalization of these mechanisms in Indonesia. 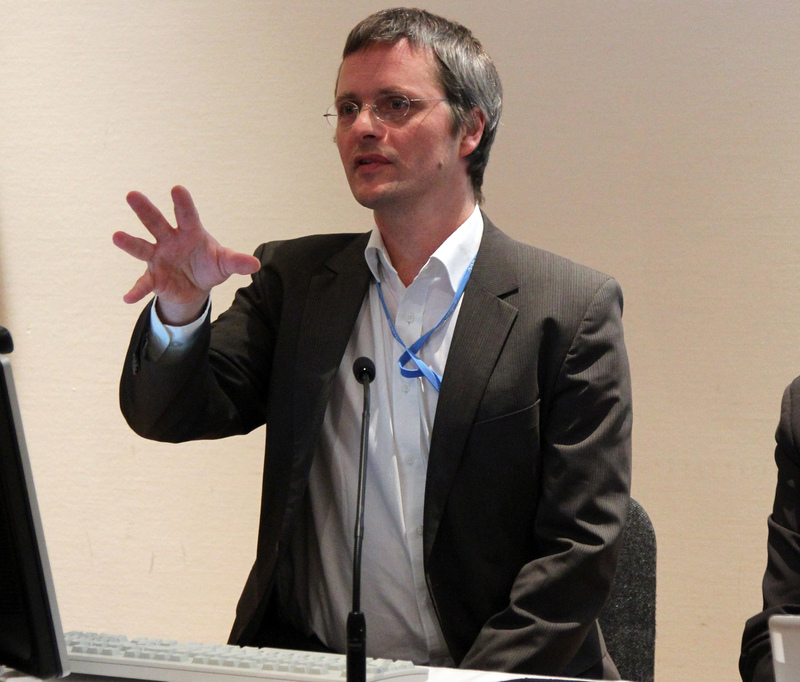 Michael Bucki, European Commission, discussed the relevance of equity considerations for donors, noting that the key point of interest for donors was effectiveness of REDD+ policies to achieve results. Agreeing with Pairojmahakij's assertion that equity is an essential condition of sustainability, he suggested that it could be useful in demonstrating the practical importance of equity. Discussions followed, considering, among other issues, non-carbon benefits; the definition of equity and beneficiaries; lessons learned that can benefit vulnerable groups; and the place of rights in discussions on equity in REDD+. Sven Wunder, CIFOR, discussed how incentives can be designed to make conservation both cost-effective and egalitarian. Regan Suzuki Pairojmahakij, RECOFTC, said equity is not “one-size-fits-all”, but dependent on national context, language, priorities and needs. Grace Wong, CIFOR, said most equity mechanisms are based upon monetary measures. Simone Lovera, Global Forest Coalition, urged viewing climate mitigation as a co-benefit of holistic rights-based, sustainable land use policies. 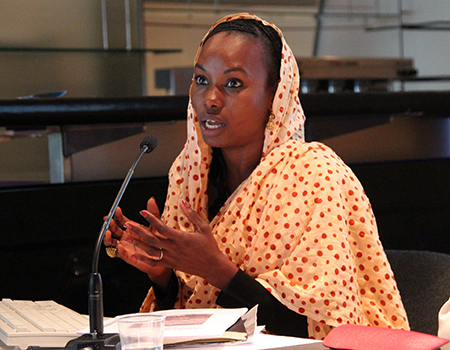 Hindou Oumarou Ibrahim, Association des Femmes Peules Autochtones du Tchad (AFPAT), said combining indigenous and scientific knowledge can improve livelihoods of pastoralist farmers. This side event was moderated by Mary Louise Malig, GCF. Malig highlighted findings from a new GFC report that assessed the global situation on wood-based bioenergy production and consumption, its trends and impacts, and associated environmental, social and health impacts arising from its use. Noting bioenergy as an issue linked to the ongoing climate negotiations, she pointed out that many Intended Nationally Determined Contributions, such as that of the EU, assume that bioenergy is carbon neutral, a claim that she disputed. 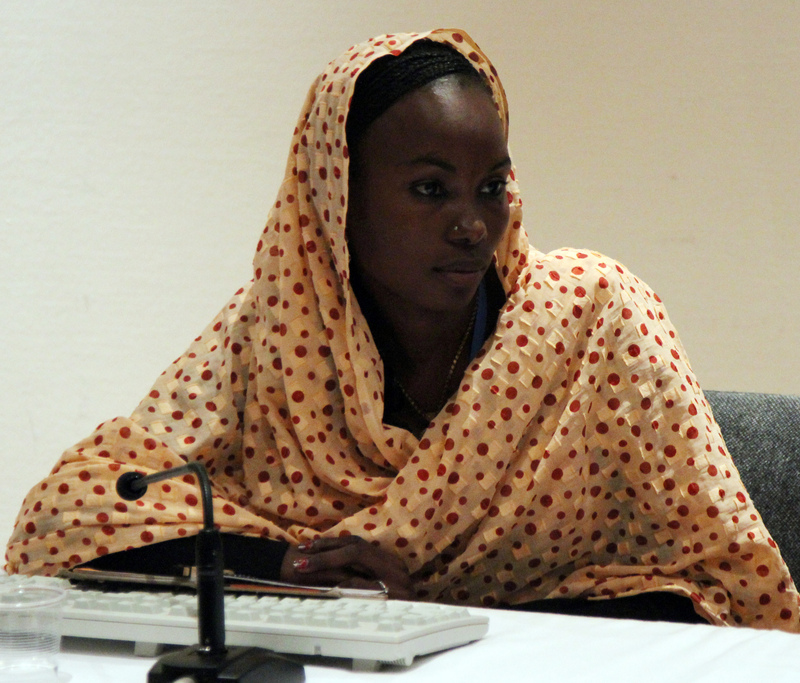 Focusing on how traditional knowledge can support adaptation, Hindou Oumarou Ibrahim, Association des Femmes Peules Autochtones du Tchad (AFPAT), underscored the need to draw a firm link between traditional knowledge and scientific knowledge. Providing examples of mapping exercises from the Sahel region, she said that weather predictions could be improved by bringing together knowledge from different domains. Teresa Anderson, ActionAid International, cautioned against the call to include land into mitigation measures, noting that its role in food production may be forgotten. 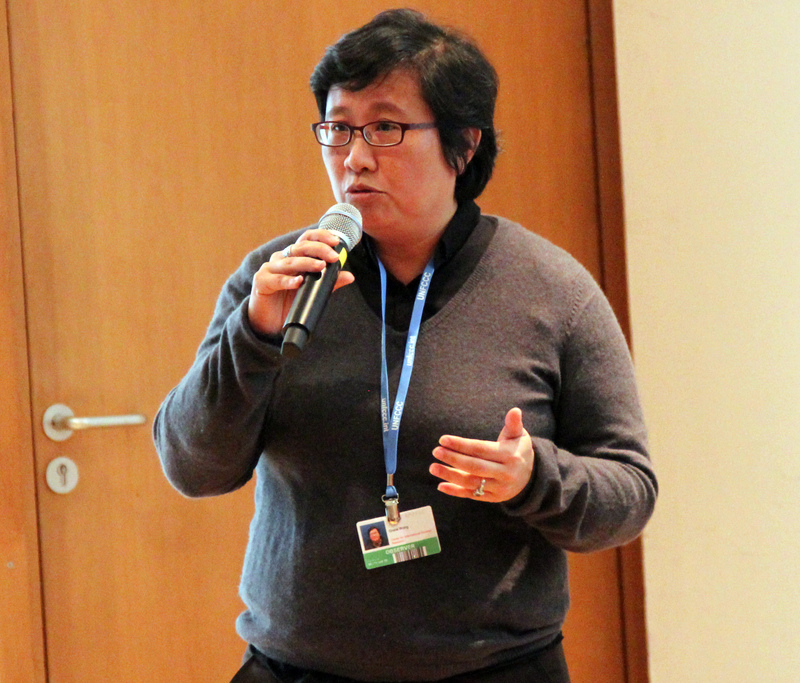 She described the difference between net zero emissions, and zero emissions, stating that the former permits a business-as-usual scenario addressed by using negative emission technologies, specifically the production of biofuels, which have negative socioeconomic and environmental impacts in developing countries. Noting that bioenergy requires sufficient access to land, Simone Lovera, said bioenergy is in conflict with a rights-based, bottom up, ecosystem-based approach to addressing climate change. She cautioned that land-use accounting could undermine the Paris Agreement due to: lack of “proper” accounting rules for land use, land use change and forestry and REDD+; use of deductive as opposed to holistic accounting rules; and the impact of indirect land use change. During the discussions, participants considered: the role of community-based forest management including the use of technologies such as cookstoves; supporting developing countries to promote renewable energy; and the land use implications of a net zero target. Neth Daño, ETC Group, the Philippines, noted the quantity of resources including water that would need to produce biofuels for mitigation efforts, as well as the long-term environmental pollution impacts due to the vast use of fertilizer. Teresa Anderson, ActionAid International, spoke about climate smart agriculture that currently has no criteria and is being practiced by large multinationals that have poor GHG emissions records, stating that climate smart agriculture could be used as a proxy for “greenwashing” the climate discourse. Mary Louise Malig, Global Forest Coalition, highlighted that bioenergy is the largest fraction of renewable energy in both the European Union and the United States.